Buffy and I went for a short hike at Stone Face, a site in the Shawnee National Forest. 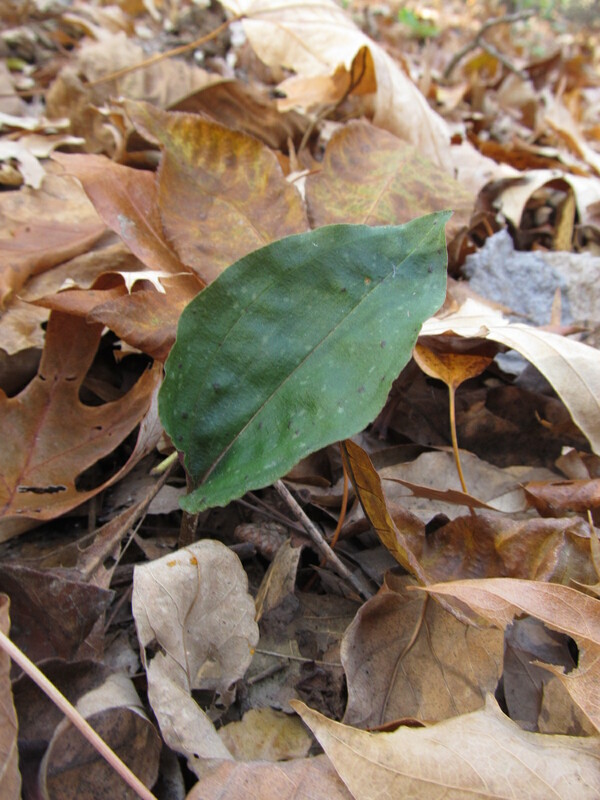 We headed into the woods because fallen leaves filled the creek instead of water. 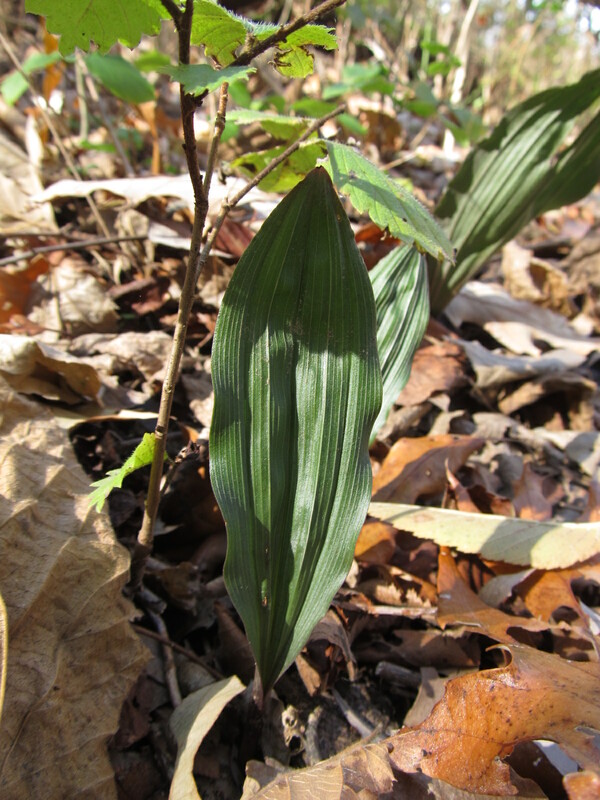 A cranefly orchid leaf (Tipularia discolor) caught my attention first. 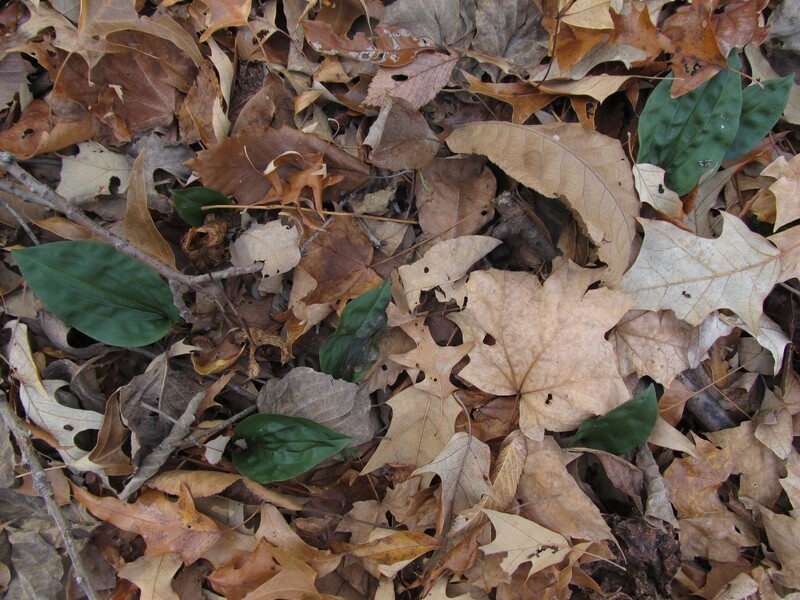 More leaves grew in a cluster about ten feet away. 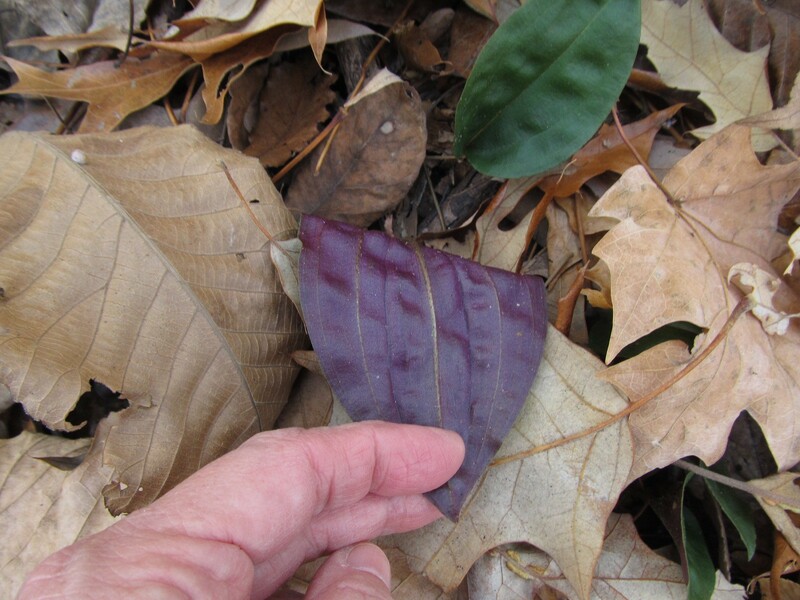 The dark purple underside easily identifies their leaf. 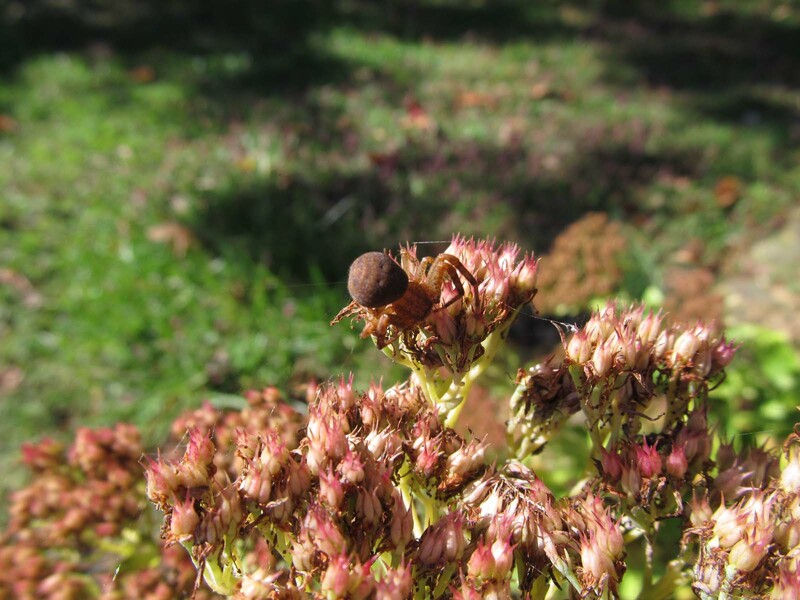 The leaves overwinter and die back before the flowers bloom in the fall. 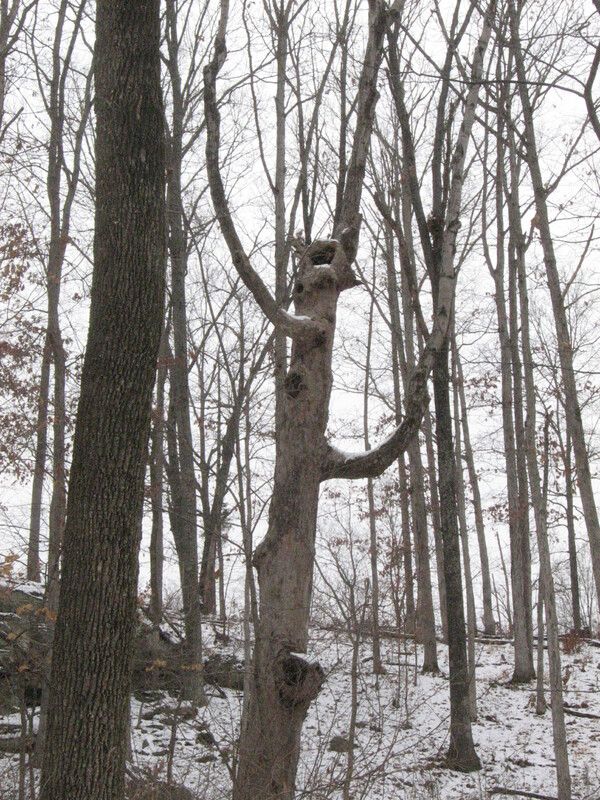 A silver maple used to grow down the hill to the north of the grassy sandstone barrens on rural property I own. 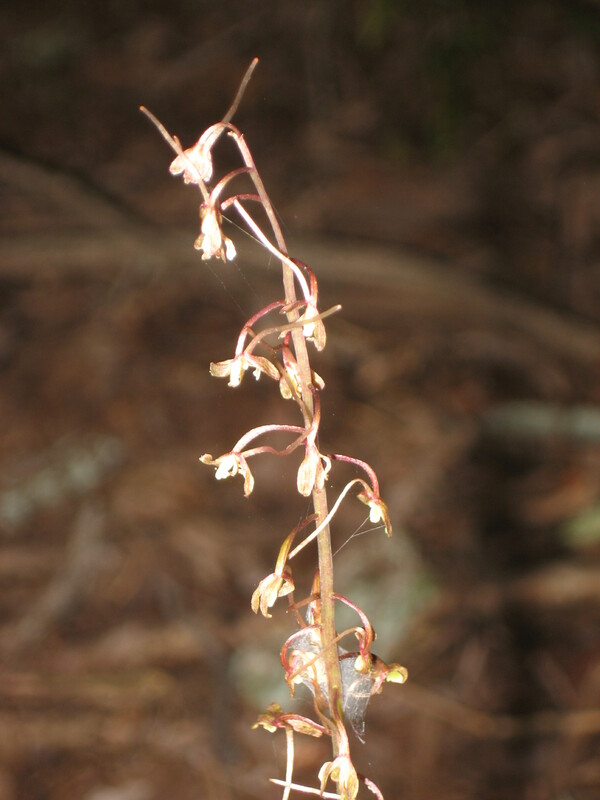 Conditions were right for a healthy population of cranefly orchids … like 135 leaves scattered around under it. Sizes varied. A heritage biologist told me to not let anything happen to that tree! Years later the tree died, the canopy opened up, and most of the orchids went dormant and/or died. 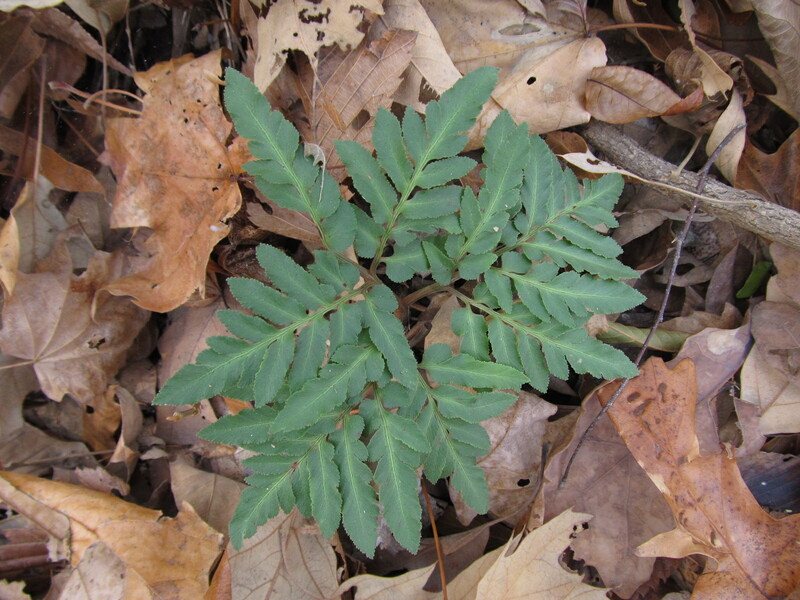 Grape ferns (Botrychium dissectum) commonly grew in the woods and will remain green through the winter. 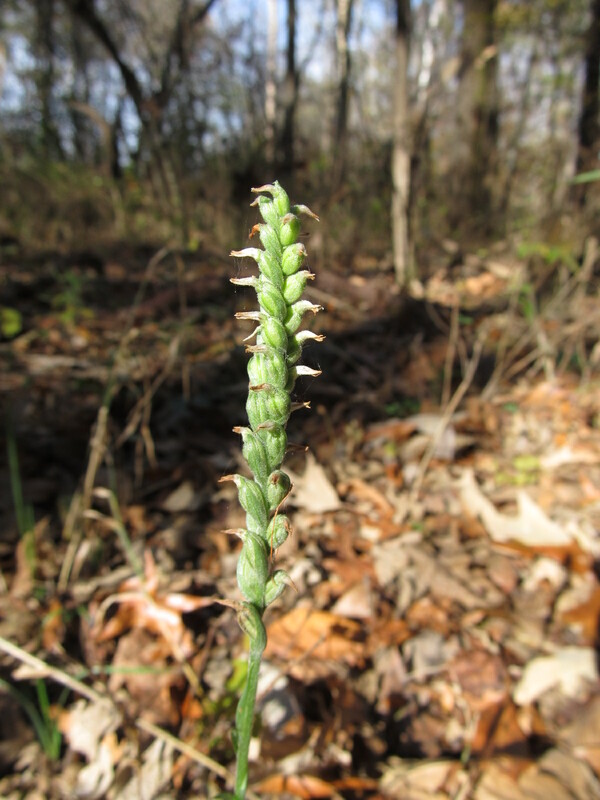 Surprise, surprise — a nodding lady’s tresses orchid (Spiranthes cernua). Its double spiral of white flowers bloomed in October. 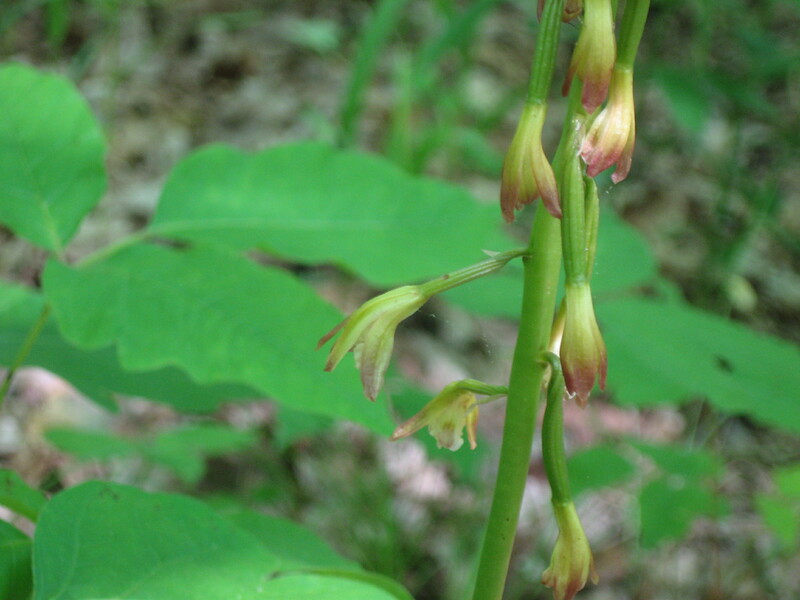 Putty root orchid leaves overwinter too, with their flowers blooming May into mid June. 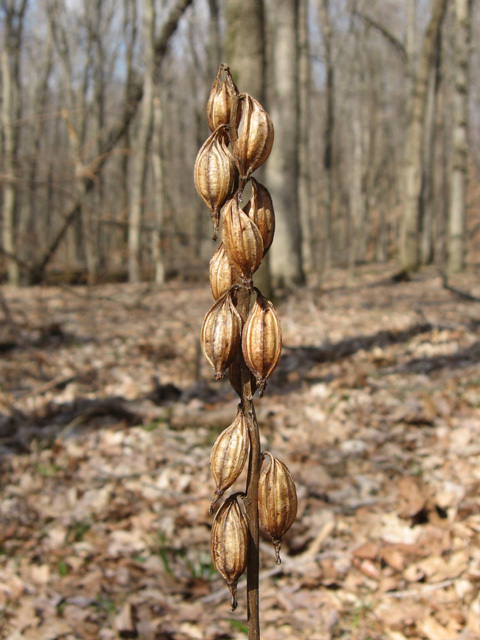 the seed stalks remain through the winter. Mine and Buffy’s hike lasted about an hour. We hadn’t been out for a while and had a good time. She’s about to turn 10 years old, and ran around like a young whipper snapper. My oldest son had a knack for finding orchids when he was in grade school. I called him my “orchidontist.” He still wears that title and calls me to report in. 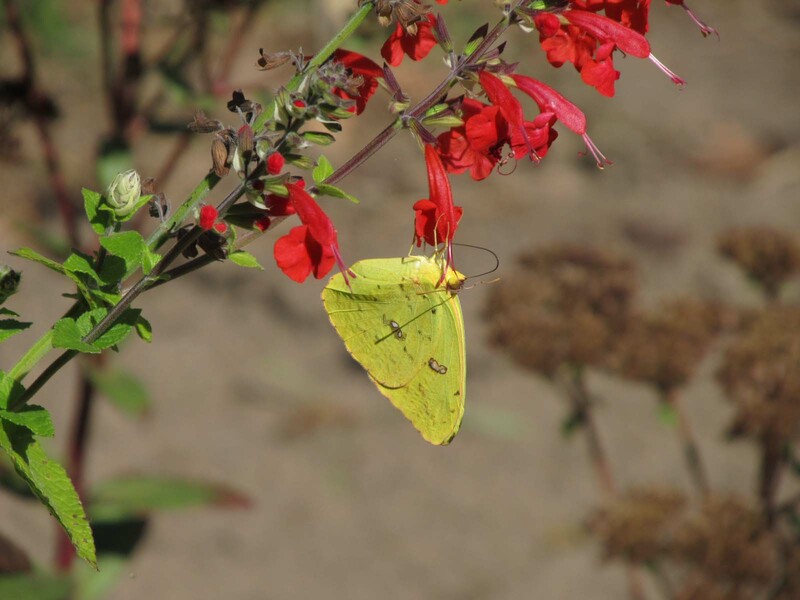 I don’t know about you, but I could use a spark of color in the middle of this Arctic weather. 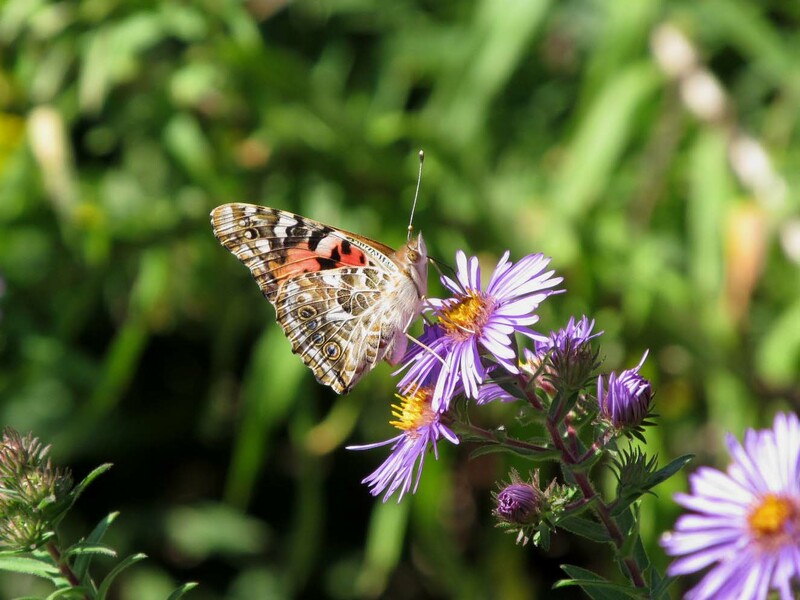 certainly offers sparks of color. 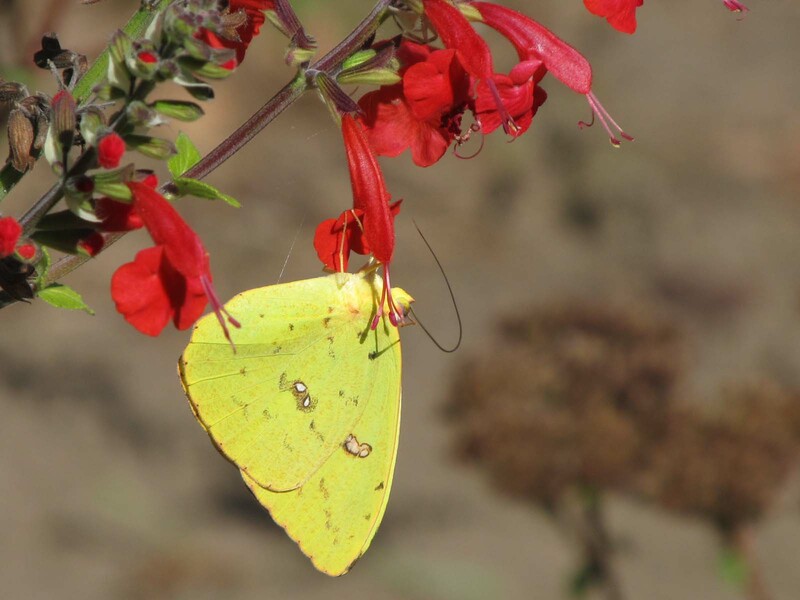 The last cloudless sulphur butterfly (Phoebis sennae eubule) I saw was on September 29. 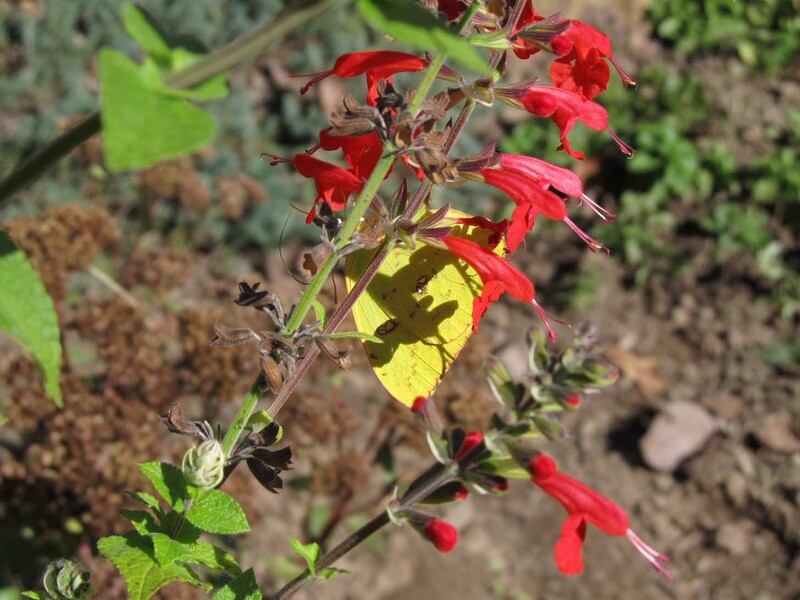 It preferred the red salvia flowers. 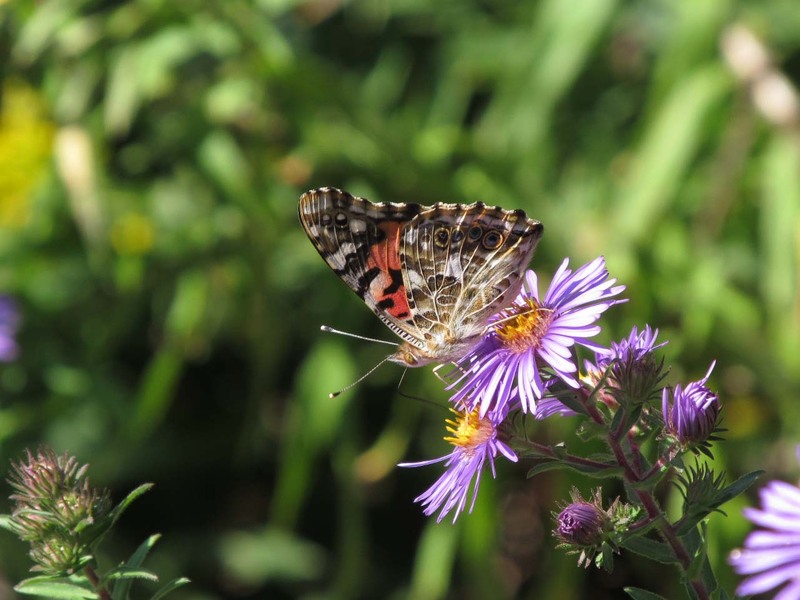 They migrate north through the summer to breed and return to the south in the fall. This translates into their numbers varying yearly. 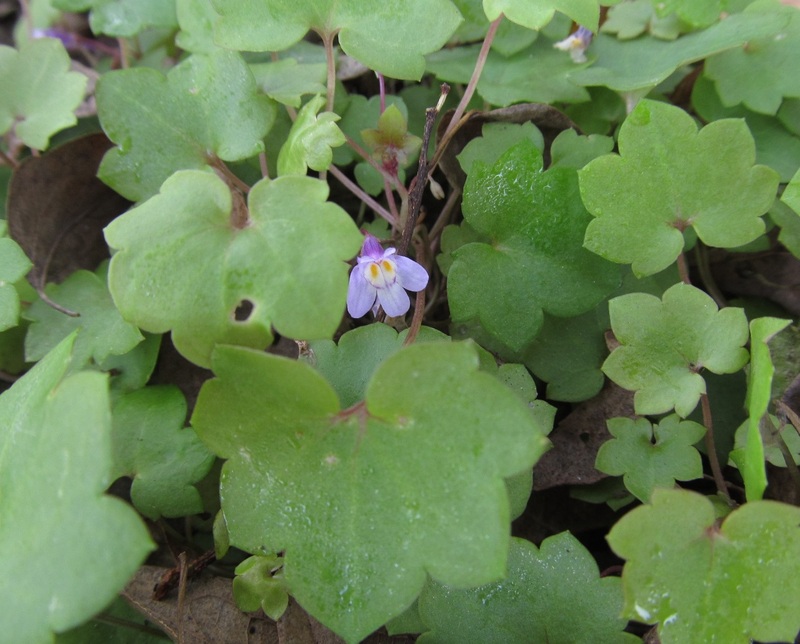 A patch of Kenilworth ivy (Cymbalaria aequitriloba) grows by the door on the north side of our house. It’s a family heirloom handed down from my great grandmother, who lived in New York. 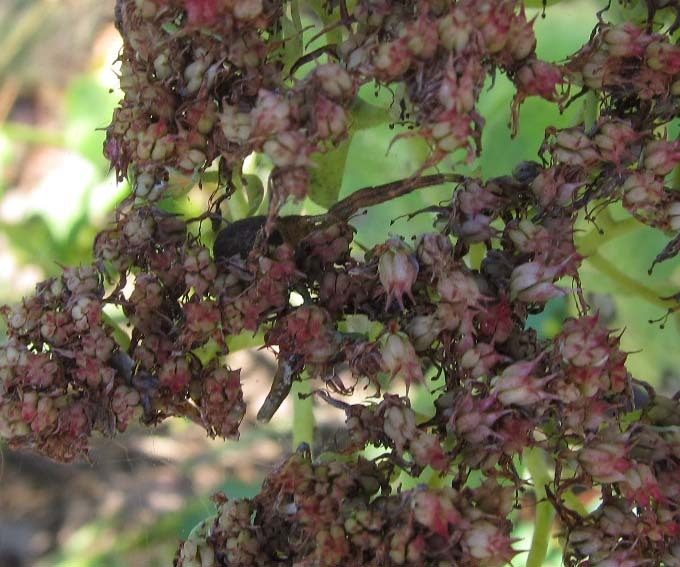 The vine is native to Spain and southern parts of Europe. We’ve had the freezing temperatures from the large Arctic front that moved through southern Illinois. Obviously, the cold hasn’t affected the ivy. 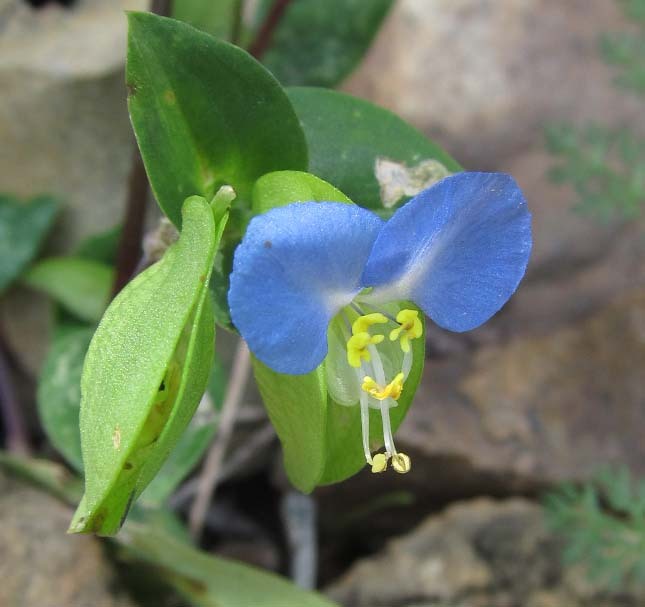 The last Asiatic day-flower (Commelina communis) bloomed in my yard almost a month ago. It added a spark of blue then, and adds a spark of blue to today’s winter-like cloudy, windy day. 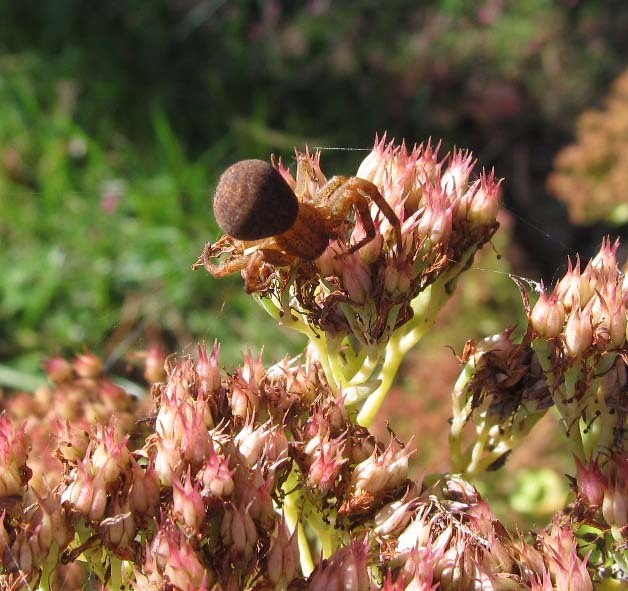 Crab spiders come in different sizes, with females being the largest. The angle of the sunlight made this one easy to spot. Shadows later made it much less conspicuous.